B: “You impose on us 8 compulsory rides a day, which is not possible everyday. How do we even earn? This is a conversation that took place between a representative from Ola Cabs and a Bengaluru-based cab driver.This driver who was attached with Ola for four years and Uber for three years decided to stay away from cab aggregators four months ago as he was unhappy with his earning. Since then he has been receiving calls from Ola executives exhorting him to get back to the service. The app-based cab aggregators system was seen as a sort of revolution in the private transportation scenario in Indian cities when it took off. With the customers getting rides for dirt cheap rates and the drivers making quick bucks through attractive incentives, the cab aggregators succeeded to grab everyone’s attention. It seemed like a win-win situation for all – the customers, taxi drivers/owners and the aggregators. But in less than six years of the business model entering Indian market, bubble seems to have burst, specially for the taxi owners and drivers who were attached to the aggregators. In the last three months, several Indian cities have witnessed protests by Ola and Uber taxi owners and drivers. The large scale protest was first started in Delhi and Bengaluru sometime in mid-February. The cab drivers went off duty for over 10 days and took to streets against the incentive system offered by the aggregators which they felt was ‘erratic’ and impacted their monthly earnings. In Delhi, the protestors led by Sarvodaya Drivers’ Association of Delhi (SDAD), sought the State government’s intervention to fix the rate per kilometre. They demanded that the government increase the per kilometre rate to Rs 23 for air-conditioned cars, as against the incentives offered by the aggregators. Their other demands included providing accident insurance, relaxation in working hours etc. Though the Delhi government played the mediator’s role, not all the demands of the drivers were fulfilled. The cab aggregators agreed on two demands – to withdraw the imposition of penalty on drivers for cancelling the duty and to increase the travel fare on customers which was earlier Rs 6 per kilometre. Meanwhile, in the last week of February, thousands of cab owners and drivers remained off the roads for almost two weeks in Bengaluru. The drivers placed similar demands. They also demanded the government fix minimum fare per kilometre. On the day they decided to stage a protest at Anand Rao Circle in Central Bengaluru, Mohan Babu, a driver with Ola Cabs attempted suicide. According to a report, the night before he attempted to harm his life, he had expressed his unhappiness over the ways how cab aggregators were treating the drivers, with his wife. This incident reflected the frustration of drivers who till then worked over time, took up night shifts just to earn more. Protests were seen in other cities as well. 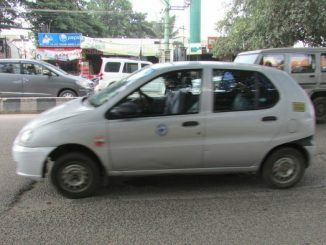 In the first week of March, the cab drivers began to protest in Chennai. Their issues were similar — reduced incentives, tough performance targets and exploitation by aggregators. Drivers demanded that the government fix Rs 100 for the first four kilometres and Rs 17 for every additional kilometre. Mumbai cab drivers staged a day-long protest around the same time. Over 1,000 taxi drivers under the banner Action Committee of Maharashtra Against Ola and Uber led by Tourist Taxi Union Sangharsh Chalak Malak Sanghatana participated in the protest with similar demands. They were also upset over the state’s new rules under the Maharashtra Motor Vehicle Rules, 2017, for regulating app-based taxis and controlling surge pricing. None of these protests had any significant effect in reversing the aggregators’ new policies. The story of cab aggregators in Indian cities makes an interesting case study of changing business models. 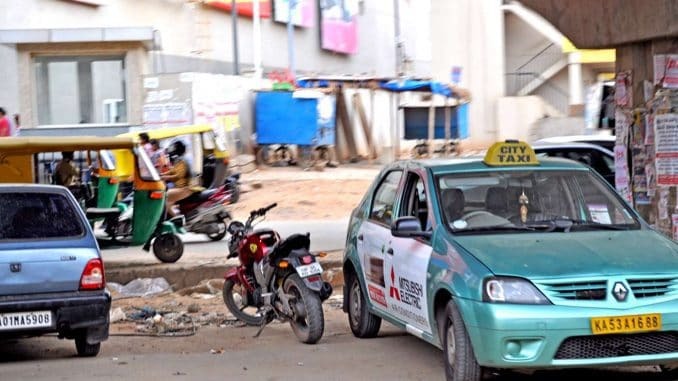 From what began as a solution to urban public transport issues, the Ola-Uber model has been now receiving brickbats from drivers who are considered as business partners of the taxi aggregators. The “surge pricing,” by cab aggregators burnt the pockets of commuters and eventually the respective governments put an end to this. Surge pricing was seen as a business trick intended to increase profit. But with the ban on surge pricing, the aggregators had to look out for other options. In the bargain, the cab owners and drivers began losing their profit margin. Take the case of Sridhar Gowda, a cab driver in Bengaluru. He attached his vehicle to Ola and Uber four years ago. Initially he used to earn more than Rs 60,000 a month. When I last spoke to him in July 2016, he said his monthly earning had dipped to Rs 30,000. Burdened with monthly installments and additional vehicle expenses, he was finding it difficult to manage his life. For him, the Ola Cabs replacing the per trip incentive with Minimum Guarantee Business (MGB) came as last nail in the coffin. That is, the driver is eligible for incentive only if he makes a minimum business on a particular day which drivers claim is hard to achieve. Meanwhile, the Ola began to lease out cars which came as yet another disadvantage to the drivers who were already attached to the aggregator. “Any individual can get an Ola vehicle by depositing Rs 25,000, but on the condition that they should work with the aggregators for four years. These drivers are given first preference to pick the duty. With more such cabs on the road, naturally, the number of trips that we get is reduced,” says Shailesh, a driver attached to Ola. Sridhar Gowda says he knows at least 150 cab drivers out of 300 in the cab drivers union who have quit Ola and Uber in last 3-4 months. But there are drivers like Santhosh Kumar who bet that even now they can earn anywhere between Rs 40,000-Rs 50,000 if they really work hard. (Working hard, according to him is to be behind the wheels for 48 hours at a stretch and then take a day off). This is the drivers’ side of the story. What do Ola and Uber have to say? Coming soon, in the next part of the article. The Ministry of Road Transport and Highways’ new ‘Motor Vehicles driving regulation 2017’ (MVR), which came into effect on June 23, bars drivers from taking drunken passengers along. It clearly states the driver should comply with the laws.